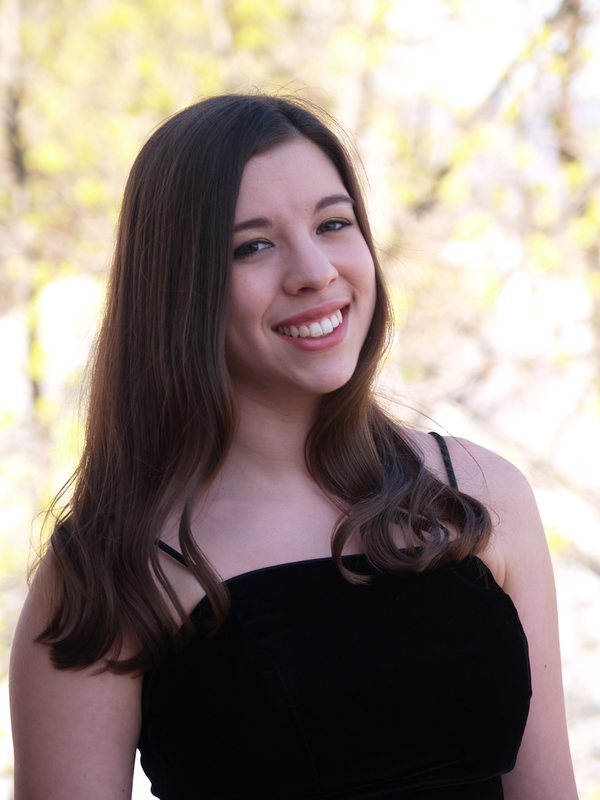 Annette Nagle is a lyric mezzo-soprano from Altoona, PA. While Annette is primarily focusing her work on classical voice, she has a strong background in piano studies. Since beginning piano lessons as a child, Annette’s musical journey has taken her performances to many unexpected places. Her first ventures in music included traveling to Orlando, FL and Charlotte, NC as a competitor at the national level in the National Youth Fine Arts Competition during high school in many creative categories, but notably in the piano performance category for two years in a row. Annette’s musical pursuits continued into college, where she sang in Carnegie Hall as a soprano with Penn State Altoona’s Ivyside Pride choir in the Masterworks Festival Chorus performance of the Mozart Requiem in New York City. Later, she sung as an alto with Masterworks Festival Chorus and Ivyside Pride performing the Duruflé Requiem. She was also selected as an alto to sing in Andrew T. Miller’s “The Birth of Christ” in St. Stephen’s Cathedral in Vienna, Austria, with the World Unity Orchestra, once again representing Ivyside Pride. In spring 2014, she accompanied soprano Shana Soriano Lambert on piano for her senior voice recital, “Traveling Through Music.” In summer 2015, she participated in Summer School for the Solo Voice, a summer training program in Saskatchewan, Canada for collaborative pianists and singers. In 2016, she performed a premiere of works by Dr. Timothy Melbinger titled “Anonymous Cabaret,” featuring anonymous poetry set to jazz and cabaret style composition with a small jazz ensemble as accompaniment. Ms. Nagle has begun performing operatic roles in 2016 and 2017. Her most recent performed role includes Marthe Schwerlein from the opera Faust with Center Stage Opera, PA. Roles currently under study for performance include Curra and Preziosilla from La Forza del Destino with Center Stage Opera, PA and Urbano from Gli Ugonotti (Les Huguenots sung in Italian) with Amici Opera. Annette holds a B.A. in Letters, Arts and Sciences from the Pennsylvania State University and is a graduate of the Schreyer Honors College. Her Schreyer Honors thesis was titled “The Sound of Perseverance: a Combatting Antisemitism with Narratives in Music.” During her undergraduate studies, she received the Liszka Award for Voice and Ken Kuhn Memorial Award for Music. She is also a member of Alpha Lambda Delta, the National Honor Society for Freshmen and Sigma Tau Delta, the International English Honor Society. Annette Nagle (Nelson) previously worked as an adjunct faculty member teaching music at Pennsylvania Highlands Community College, in addition to being an ACE Faculty Liaison for the college, and is a private teacher, freelance collaborative pianist and organist in her spare time. She has served as a music director in two churches, the most recent having been St. Luke’s Episcopal Church in Altoona, PA. She is currently studying voice with contralto Dr. Bonnie Cutsforth-Huber, associate professor of music at Penn State Altoona, and piano with Dr. Steven Smith, faculty emeritus of Penn State’s School of Music. Summer School for the Solo Voice, July 2015 in Saskatchewan, Canada. Joint enrolled in Voice and Collaborative Piano program.